The national parks in Ohio include memorials to the historic and prehistoric past, including that of the great Shawnee warrior Tecumseh, the Buffalo Soldier statesman Charles Young, and the aviation pioneer Wright Brothers. 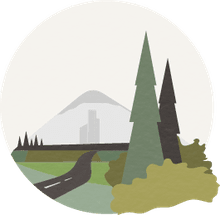 According to the United States National Park Service, over two and a half million visitors come to Ohio's eight national parks each year, including monuments, memorials, historic sites, and national trails. Here are a few of the most salient. Located in the town of Xenia, Ohio, the Charles Young Buffalo Soldiers National Monument consists of a museum housed in the former home of Charles Young, the first black leader of a late 19th century Buffalo Soldiers unit. The monument celebrates Young's widely varied and successful career that spanned the military, education, diplomacy, and the park service. Charles Young (1864–1922) was a soldier, diplomat, and civil rights leader whose parents fled slavery shortly after he was born. His father enlisted in the 5th Regiment Colored Heavy Artillery in the Civil War; his mother took the family and moved to Ripley, Ohio, a town that was a strong center of the abolition movement. During reconstruction, Charles went to school, where he flourished in academics, foreign languages, and music, and became the 9th African-American candidate at West Point. On graduation, he was commissioned as a second lieutenant in the 9th calvary out of Fort Robinson, Nebraska, to fight in the Indian Wars (1622–1890)—the prolonged series of battles over the ownership of the Americas waged between European and indigenous people. After the Civil War, three regiments of black soldiers were mustered into the Indian Wars; Young was the first African-American leader of one of those units, the 10th Cavalry, rising to the rank of Captain. After the wars ended, Young went on to fight in the Philippines and Mexico, and then he had a widely varied and successful career. That career included teaching military science and tactics at Wilberforce University, diplomatic attache in Haiti and the Dominican Republic, and in 1907, Young was the first African-American named as a national park superintendent, at Sequoias National Park in California. He volunteered to fight in World War I–in 1914 he was 50 and demonstrably vigorous—and was promoted to Colonel, but he was not allowed to serve. 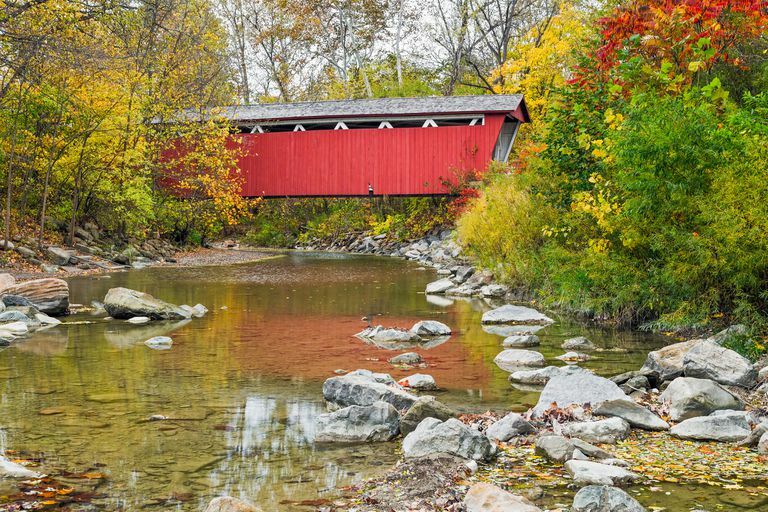 The Cuyahoga Valley National Park, located in northeastern Ohio, near Akron, is a 33,000-acre park dedicated to the history of the Ohio and Erie canal, and the preservation of wetland, grassland and forest ecosystems near the Cuyahoga River. The Ohio and Erie Canal was a four-foot-wide, 308-mile-long ditch dug by Irish and German immigrants between 1825–1832, that crossed the wide state diagonally, connecting the communities of Cleveland and Cincinnati. The canal opened up freight and other communication between the towns, reducing the time to travel between the two cities from weeks by overland stage to 80 hours by barge. The canal had 146 lift locks which facilitated a rise in elevation of 1,206 feet. It remained the main connection for Ohio residents to shipping traffic on Lake Erie between 1827 and 1861, when railroads were established. Ecosystems in the park include the Beaver Marsh, a long-term restoration project reestablishing native flora and fauna to the region and supported by the Sierra Club; the Ritchie Ledges, with its terraces, steep valley walls, and meandering streams; and Brandywine Falls, a 65-foot waterfall accessible via a boardwalk. The Dayton Aviation Heritage National Historic Park, which includes the National Aviation Historic Area, is located near Dayton, in southwestern Ohio. It is dedicated to the efforts of the famous Wright Brothers, pioneers in American aviation. The park also features a memorial to Dayton novelist, poet, and playwright Paul Lawrence Dunbar (1872–1906). Wilbur Wright (1867–1912) and Orville Wright (1871–1948) were two inventive and industrious brothers who did not get much formal education, but they were skilled and worked on several projects before settling on aviation. The first of the Wright's obsessions was the printing business, which they established in Dayton in the late 1880s, publishing newspapers and doing print jobs until about 1900. One of their jobs was for Dunbar, who published Dunbar's Dayton Tattler with them, an early newspaper for the African American community in Dayton. The Wright brothers were also bicycle enthusiasts, who parlayed a facility with bicycle repair into a full-blown business, in the Wright Cycle Company building (1893–1908), where they repaired and sold bikes. When they heard that the German aviation pioneer Otto Lilienthal (1848–1896) had died in a crash, they became fascinated with the possibilities of sustained flight and began their careers as inventors, businessmen, and patent trolls in aviation. They were the first ever to conduct a sustained, powered, and controlled flight in the North Carolina beach community of Kitty Hawk on December 17, 1903. The Wrights continued their work in aviation for a decade or more at Huffman Prairie, their aviation field, some of which is included in the park boundaries, and they signed a contract with the U.S. Army to build an airplane that would fly for one hour at 40 miles per hour, in 1908. That led to a successful business which included a testing ground, flying school, and home to their exhibition team. Located near Toledo, in the northwestern part of the state, Fallen Timbers Battlefield and Fort Miamis National Historic Site includes a battleground and museum dedicated to the 1794 Battle of Fallen Timbers. The Battle of Fallen Timbers was fought on August 20, 1794, between the U.S. Major General Anthony Wayne (1745–1796, also known as Mad Anthony Wayne), and Native American forces led by Chief Michikinikwa (1752–1812) and including the famous Shawnee warrior and chief Tecumseh (1768–1813). The battle was part of the Indian Wars, in particular, a land issue with American forces against Native Americans who had been British allies—Chippewa, Ottawa, Pottawatomi, Shawnee, Delaware, Miami, and Wyandot tribes who had formed a federation to halt further U.S. incursions into their territory. Fort Miamis was a British fort built in the spring of 1794 on the Maumee River. Although the 1783 Treaty of Paris ended the Revolutionary War, a provision allowed the British to stay in the northwest territory—lands west of the Ohio River—to resolve the land issue. The Battle of Fallen Timbers was the resolution of that provision—the Treaty of Greenville redefined the boundary between Indian and U.S. lands. Tecumseh refused to sign and continued the resistance effort until his death in the Battle of the Thames in southwestern Ontario. Steam fog lifts up from the mounds at Mound City Group on a cool summer morning. The Hopewell Culture National Historic Park, located in southcentral Ohio, near the town of Chillicothe, honors the enormous and graceful geometric monuments and enclosures built by the Middle Woodland Hopewell culture, horticulturalists and farmers who thrived in central North America between 200 BCE–500 CE. Hopewell is a name archaeologists gave to the people who were part of a broad network of economic, political, and spiritual beliefs across many different groups. One defining characteristic was the construction of large enclosures made of earthen walls, often in geometric patterns and surrounding other mounds, and sometimes effigy-shaped: some are likely to have had astronomical features. The mound groups are the remains of both ceremonial and residential activities, basically enclosed communities. The Hopewell traded goods and ideas from a vast network, from the Atlantic coast to the Rocky Mountains, evidenced by the collection and production of artifacts made of such materials as obsidian, copper, mica, shark's teeth, and marine shells. The park encompasses several mound groups, including the Mound City Group, which is the only fully-restored Hopewell earthwork complex, with a 13-acre rectangular earthen enclosure surrounding 23 dome-shaped mounds. Hopewell also features the remains of a Great Circle, a gigantic circle of enormous posts known as a "Woodhenge." The 300-acre Hopewell Mound Group contains a parallelogram 1,800 by 2,800 feet.